Public Forum: ‘How long do you plan to store SNF in New Mexico? My name is Martin Kral and I have been an advocate for Nuclear Science and Technology for the last 10 years. I live in Roswell, NM and consider myself a concerned citizen of nuclear waste/fuel in Southeast NM. Recently, there was a strategy meeting in Roswell by concern citizens who are against anything nuclear in the state of NM. Their objective for the next couple of years is to actively oppose any additional nuclear material stored in NM. However, I have the opposite point of view. I will actively support any additional nuclear industry that will being high paying jobs and steady revenue streams to the State of New Mexico. 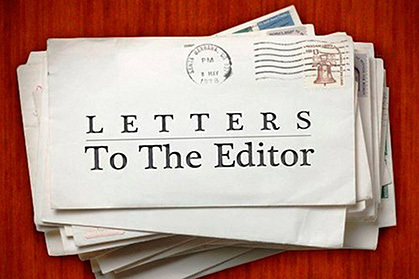 I have been writing articles and letter to the Roswell Daily Record for over 5 years to educate the people of Roswell about the realities of nuclear energy and radiation. I took on this quest knowing that someday soon the people will have to make a decision about whether they will support or not support more nuclear industry in our neighborhood. I have always gotten positive feedback about my articles as being very informative. Most people in NM know very little about nuclear science even though the power of the atom was advanced in Los Alamos. The US has been building nuclear power plants for the last ~70 years based on a water cool design using solid uranium fuel. The fuel rods containing this solid fuel can only last about 3 years because the cladding around the uranium fuel pellets inside the rod will eventually breakdown and have to be replaced. The unused fuel in the rods have to be stored in water pools for 5 years to cool down and then put into dry storage canisters for another ~300 years or until the uranium is considered safe for the environment again. With an exception of a very minute amount of fission products (the waste), everything else can be put back in the ground as dirt where it originally came from. However, that whole process is completely unnecessary. Back in the 1960, Enrico Fermi, top nuclear scientist on the Manhattan Project, described an alternative solution to storing nuclear waste: Consume all actinides in fast neutron reactors, leaving only fission products, which require special storage for less than 300 years. That fast reactor was built and operated for 30 years in Idaho, recycling its own fuel base and not producing any ‘waste’ to be concerned with. Unfortunately, the Government defunded that prototype and the technology did not make it to the US commercial marketplace. But it did make it to Russia, which now has commercialized fast reactors and are sharing that technology with the Chinese, who are also building fast fission reactors. Even that technology has become dated but has a smaller waste stream. Today that waste burner reactor design concept is being re-addressed in the private sector with the Fast-Spectrum (neutron) Molten-Salt Reactor by Elysium Industries. The Molten Chloride Salt Fast Reactor (MCSFR) is state-of-the-art in its design. The technology is unique as it can provide base-load and clean power while addressing the current issues in the nuclear power industry and climate change. The new cost effective Elysium MCSFR has the ability to consume spent nuclear fuel, depleted uranium, thorium and even weapons grade plutonium, transforming it all from a perceived waste problem into profitable energy. Which brings me to the primary reason for this letter. I have been following the progress of the Eddy-Lea Energy Alliance / Holtec International’s proposal for a Consolidate Interim Storage Facility (CISF) to store spent nuclear fuel (SNF) in New Mexico. While the technology is sound and I support it, I do have a concern about the word ‘Interim’ in the proposal. I do agree with Jon Hancock, a waste expert with SIRC in ABQ, that the fuel can safety stay where it is at each nuclear power plant (NPP) site. Technically it is just as safe there as it would be in New Mexico. However, there is this thing called ‘social science’ that has nothing to do with the physical science of nuclear technology. There has always been this psychological fear of all things nuclear and the communities around the individual NPP want the perceived waste (unused fuel) moved away. That is understandable because of what we have been taught about radiation over the last 70 years. As low as reasonably achievable (ALARA) has been the policy for decades but that has been proven false because tof all the informational data gather since TMI, Chernobyl and Fukushima. Low dose radiation is a benefit to life, not a curse. Of course, Madame Curie told us that over 100 years ago, but who listens. I would like you to lend me your eyes and hears for my one and only concern about the ELEA proposal. Here is the shocker that is not being addressed from my perspective so far. • If you replace every existing GEN3 nuclear reactor in the US with an equivalent GEN4 MCSFR, there is enough stored SNF to produce heat/electricity for approximately 2,000 years. If you add all the stored Deleted Uranium (DU) fuel to that, they would produce heat/electricity for another estimated 20,000 years. • If we replaced every GEN3 nuclear reactor, hydroelectric dam, coal furnace, gas turbine, wind turbine, solar panel, biofuel solution, etc. with an equivalent GEN4 MCSFR, there is enough stored SNF to produce heat/electricity for ~400 years. If you add all the stored DU fuel to that, it would produce heat/electricity for another ~4,000 years. So my first and only question is: How long do you plan to store SNF in New Mexico? I think it is extremely important for this question to be answered at any public forum that is being planned over the next year to educate the public. I think NM should change the purpose of having the CISF to that of a long term fuel depot. That would be more honest and let the people know that the CISF would also produce a revenue stream until the fuel is all used up – possibly thousands of years. What about Yucca Mountain or any other deep repository? With today’s storage technology for SNF, Yucca Mountain is no longer needed to store SNF. It can still be used for other purposes, like subterranean condos. Seriously, SNF should not be discarded in deep repositories. I am most familiar with the Holtec canister and believe that is all we need. The rating on the canister is 100 years but I believe that is very conservative and it will last for 300 years, long enough for the decay to render the contents harmless. Okay, so how are you going to answer my question because you will need a solid answer for the Anti’s. They will address this as a negative sound bite when it is actually a positive benefit to The State of New Mexico.